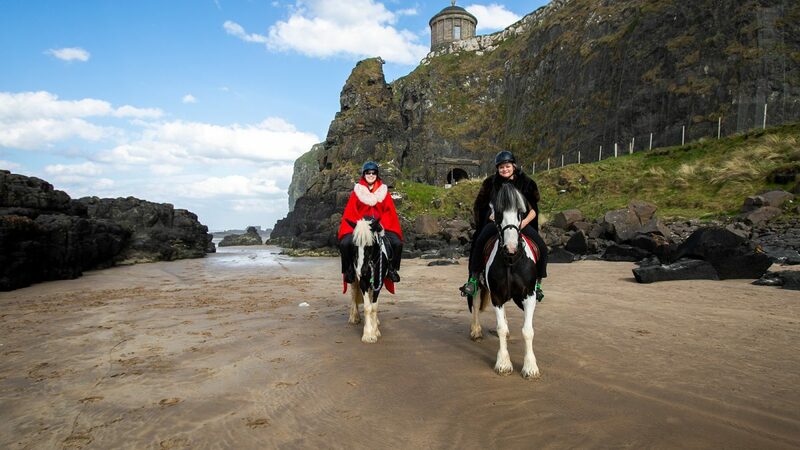 Game of Thrones style capes are of course mandatory for a horseback ride on Downhill Beach. 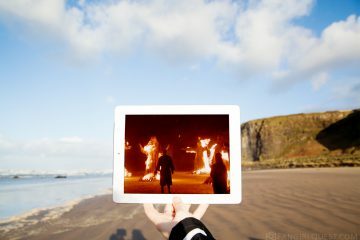 While we love visiting filming locations just as such, what can make them even better is having an activity that somehow connects you even more to the world of the show or movie filmed there. 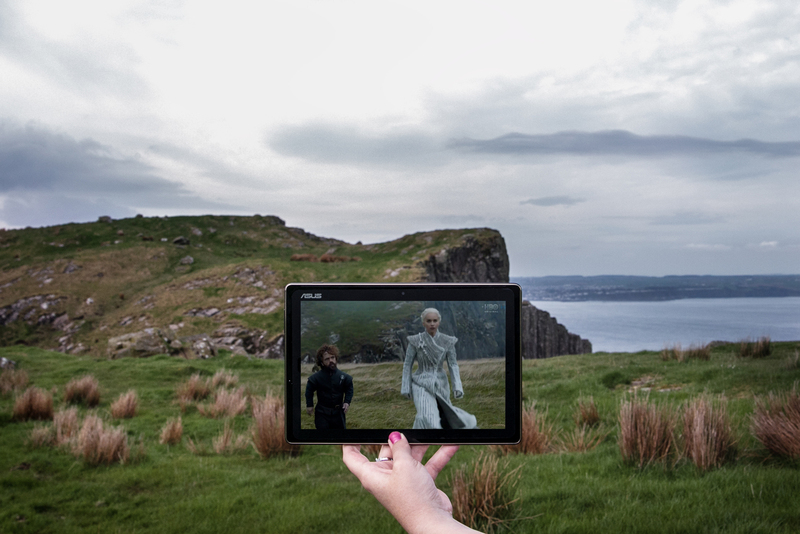 Northern Ireland with all its Game of Thrones locations, aka GoT Territory, is chock-full of such opportunities. 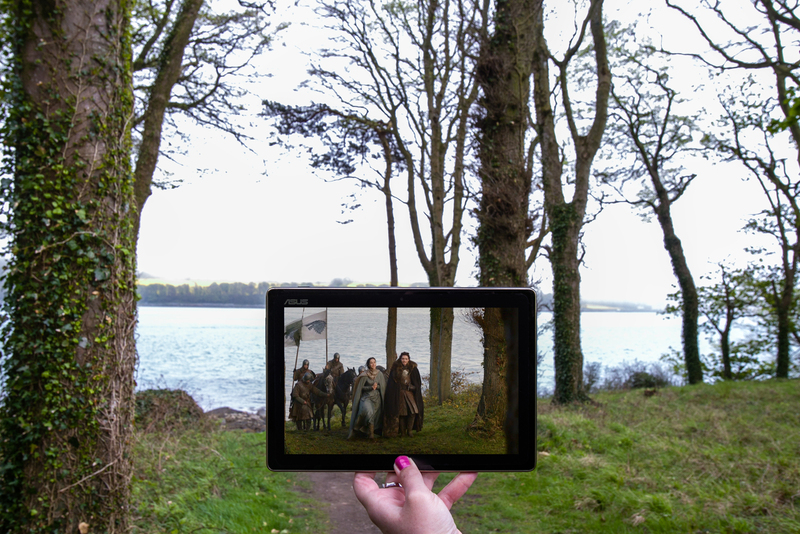 With the premiere of the last ever season of Game of Thrones looming ever closer, we can’t help but think back to our amazing time in Northern Ireland last year. 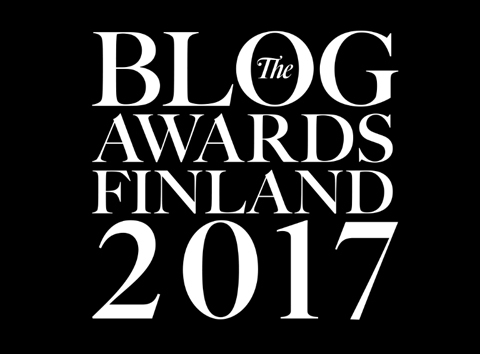 It’s not easy to pick the best of the best – there are just so many amazing experiences on offer – but for this post we’ve gathered the ones that were most memorable to us. 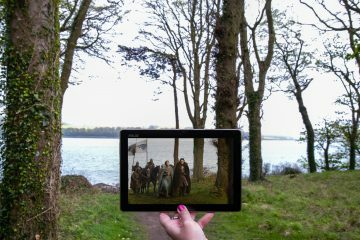 Castle Ward was one of the places we visited already on our first Northern Ireland trip in 2015 and had so much fun we just couldn’t wait to go back. 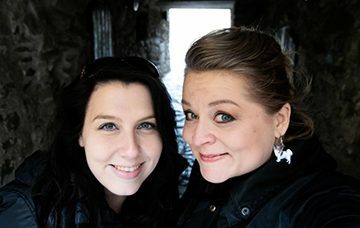 Luckily we got the chance on our recent trip and also had more time to properly explore the grounds. 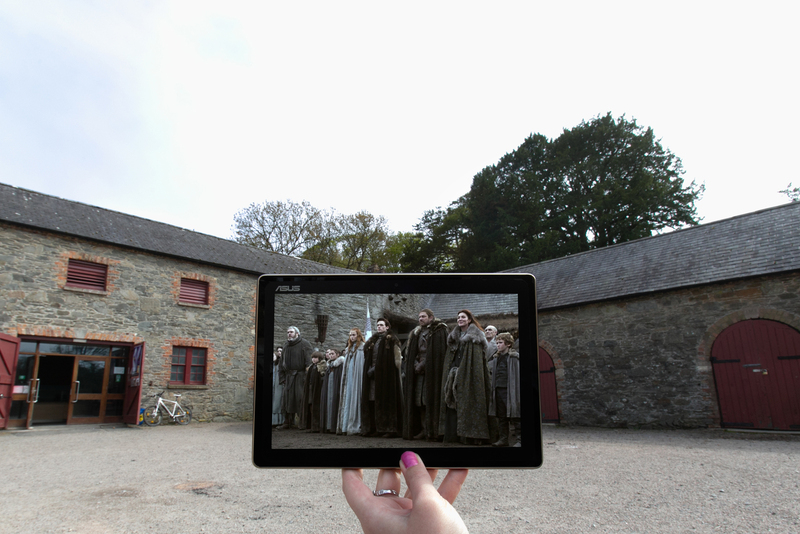 The National Trust property’s historic farmyard played the part of Winterfell in early seasons but there are several more locations peppered across the extensive castle grounds. 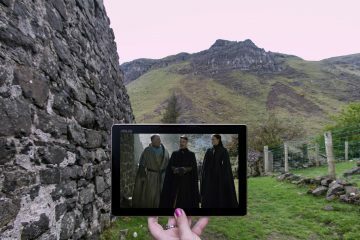 There’s a lot of CGI involved in creating Winterfell at Castle Ward, but some of the wall behind family Stark is still easily recognizable. 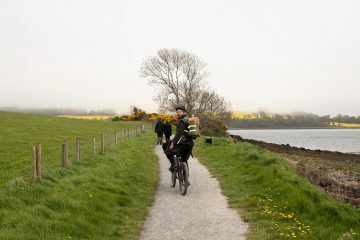 We had a blast touring the grounds by bike with our awesome guide Jamie from Clearsky Adventure and discovered several locations we didn’t even know were there! When it comes to sceneframing, sometimes we have to be quick to adapt to changing situations. Obviously we didn’t have screenshots of the scenes we didn’t even know where filmed around Castle Ward. Luckily, Jamie had laminated photos of every scene. Cut to us awkwardly taking photos of those photos – with a tablet. This is the kind of above and beyond service from a guide that we appreciate more than we can say. Once we were done with our tour, we got to enjoy a beautiful picnic lunch provided by lovely people of The Cuan, where we also spent the night before visiting the castle. 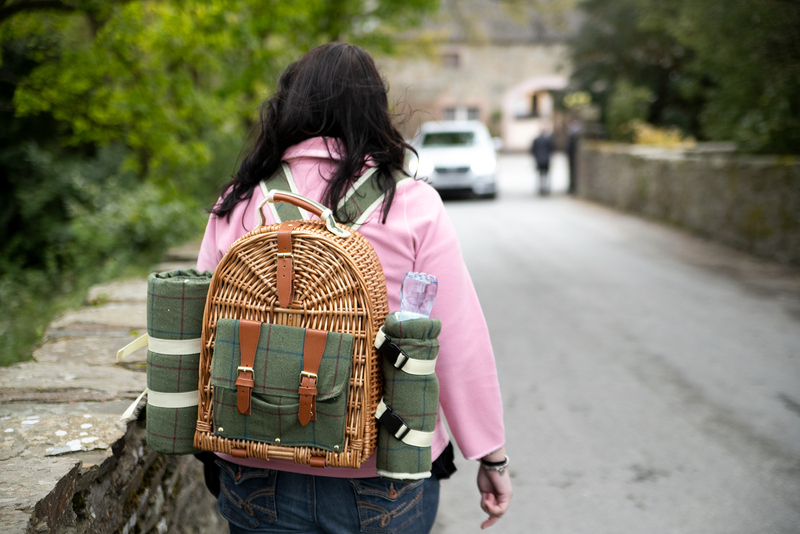 If you stop by the Cuan before heading to Castle Ward, you can pick up a lovely picnic lunch for your GoT adventure. 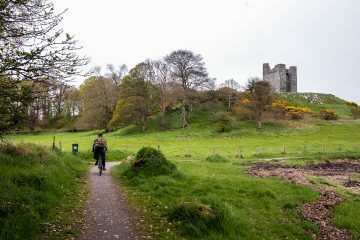 The grounds of Castle Ward are extensive and there are several locations to stop, so it’s a lot easier to tour them by bike. Our awesome tour guide Jamie even carried the picnic basket for us! 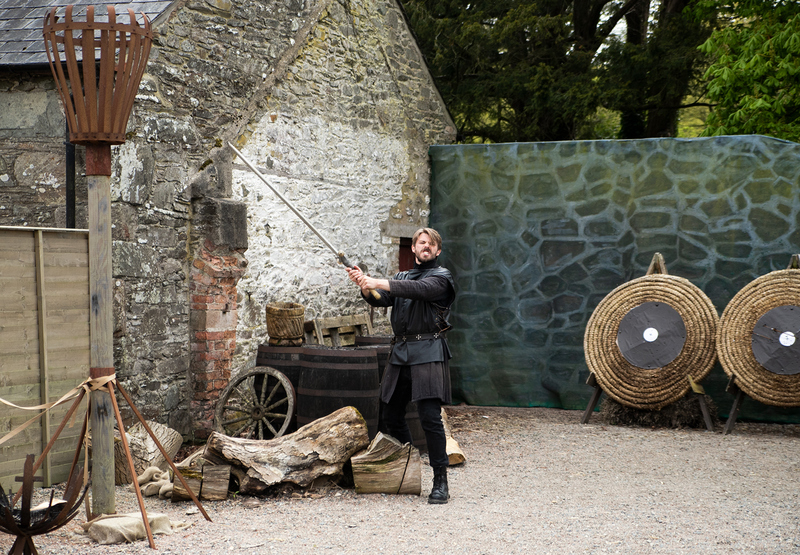 Robb’s war camp is just one of the many locations found on the grounds of Castle Ward. The cherry on top of the sundae that was our Castle Ward adventure was the archery experience. 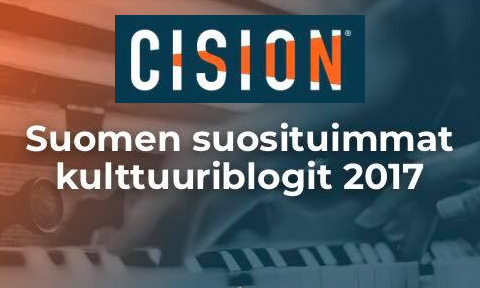 This is the one we did in 2015 and would still do again in a heartbeat if we ever had the chance. 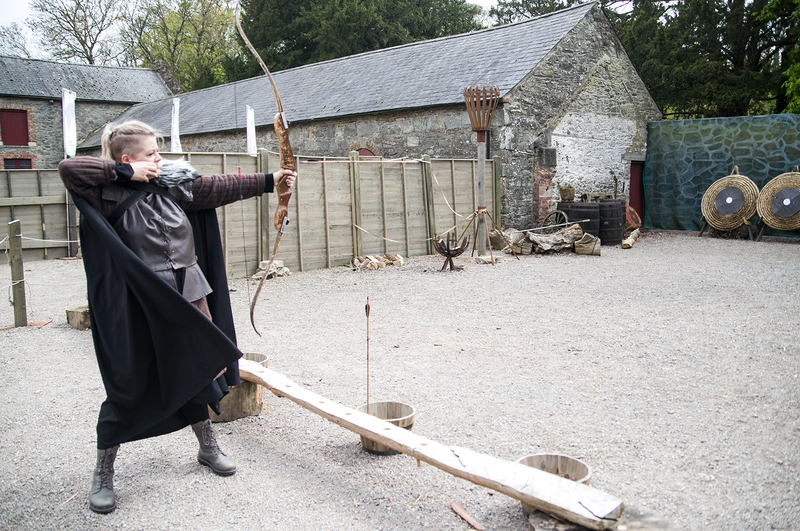 Dressed in Stark costumes you get to stand on the very same spot where Robb, Jon and Bran practice archery in the very first Game of Thrones episode. Your guide will then show you how to properly shoot a bow and arrow and after a few practice rounds you get to compete against your friends. 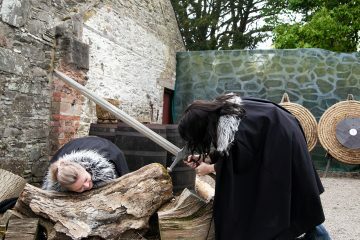 True to the name “Ned Stark package”, the winner then gets to behead the loser. Sort of. Our guide and archery instructor Jamie showing how to properly hold a sword for a beheading. Warning: beheading may be interrupted by a sudden case of the giggles. Getting ready for a bird’s eye view! If we were going to list the coolest, most surreal things that have ever been uttered to us, this sentence would be hard to beat. We were just finishing a delicious lunch at Roe Park Resort, when we heard these incredible words from our waiter. Giggling in disbelief we then proceeded to the Cutting Edge helicopter that was waiting for us on the green grass of the golf course. 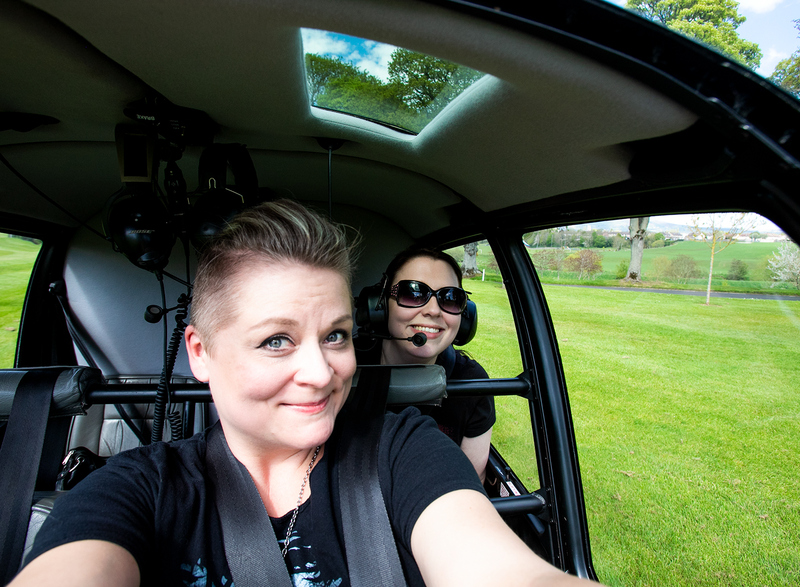 After the mandatory selfies with the helicopter and a security brief, we were ready for takeoff! 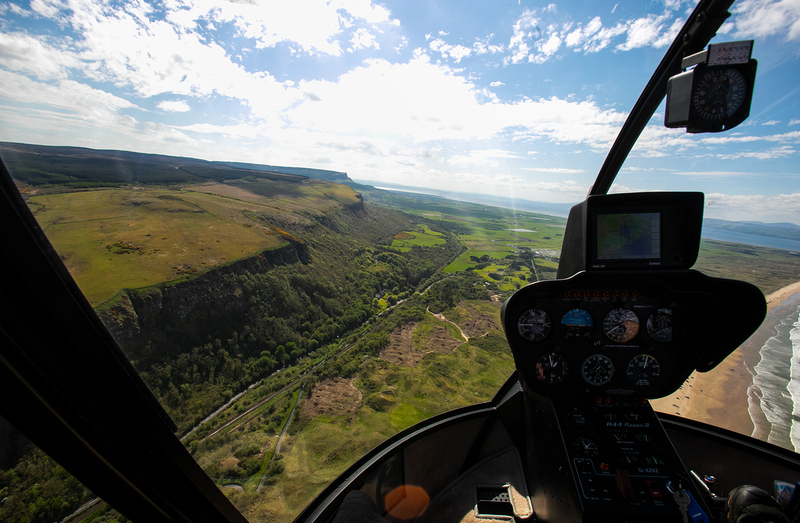 A helicopter tour is a great way to get a different perspective on the locations! 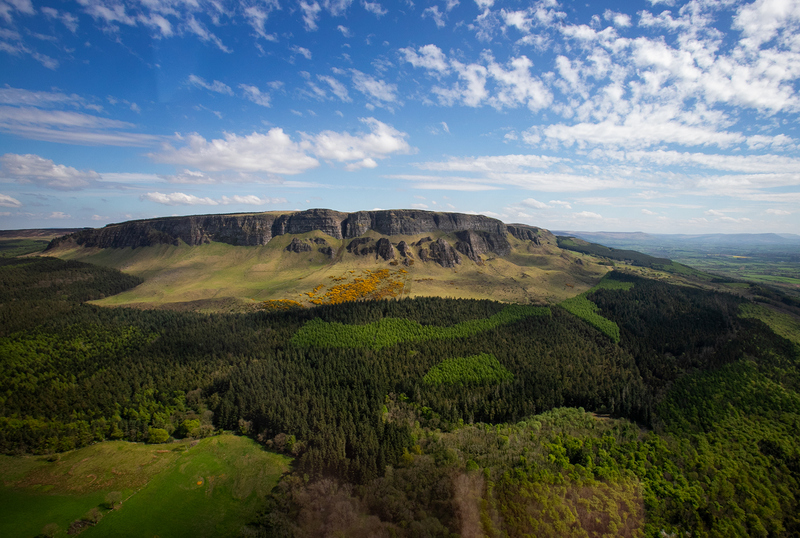 The distinct formations of Binevenagh Mountain are just as impressive from the air. Downhill Beach, just hours before we would explore it on horseback. Over the next half hour, the pilot took us over several Game of Thrones locations. 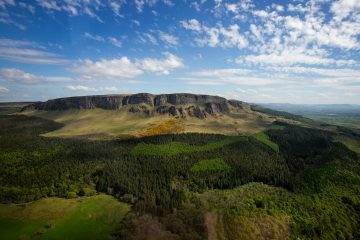 First up was Binevenagh, the massive cliff heads where Daenerys lands after she escapes Meereen with Drogon and where Ser Jorah and Daario Naharis later ride in search of her. We’d driven atop the mountain earlier the same day but seeing the formations from the air really shows how imposing they are. 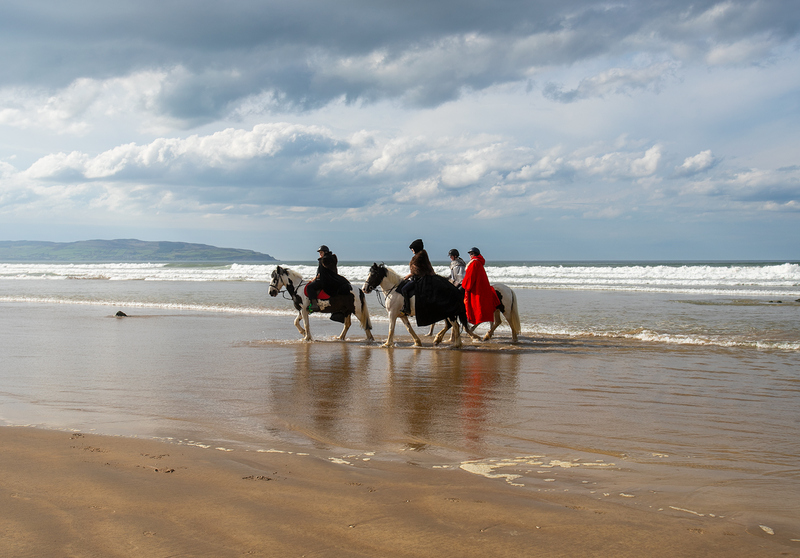 The flight continued over Downhill Beach aka the shores of Dragonstone in season 2, that we would later experience on horseback and Portstewart Strand, the massive beach dunes that served as Dorne in the show. 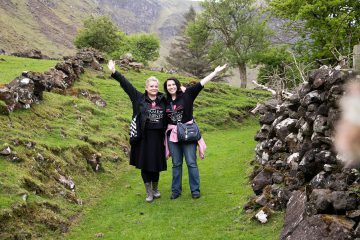 The whole journey was an unforgettable experience that we can hardly describe in words, so we’ll let the pictures speak for themselves. 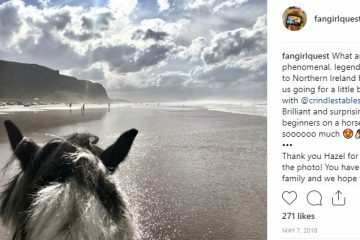 Tiia has already written about our horse-riding adventures with Crindle Stables but since it was such a momentous experience for me, I wanted to put in my two cents as well. Before we got to the stables I wasn’t even sure I would be able to go riding. I’m allergic to horses (and dogs and cats and, as it turns out, bison) and had a concern the reaction might even be bad enough to keep me from driving for the rest of the day. In addition to my allergy concerns, there was the fact that I hadn’t been on a horse in 30 years. I was pretty sure I would fall off before I even properly got on. 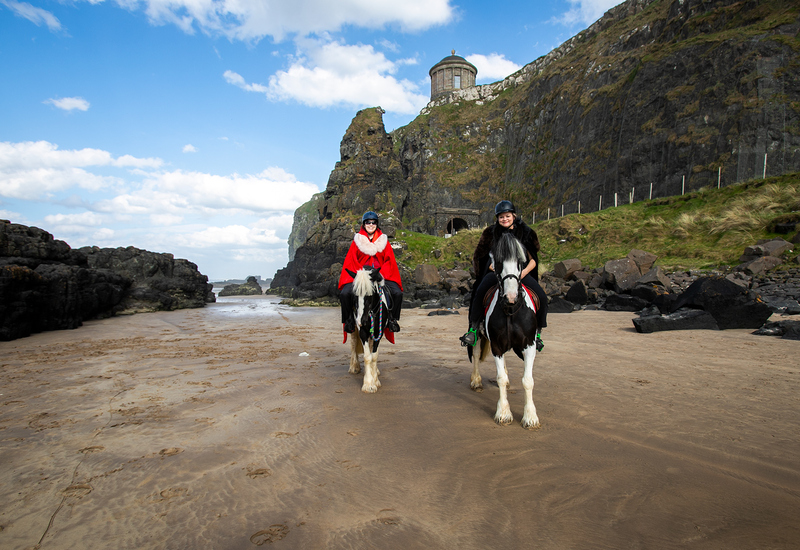 Exploring Downhill Beach aka Dragonstone on horseback was one of the coolest things we’ve ever done. Turns out, I was worrying for nothing. As soon as we got to the stables, Hazel and the rest of her lovely family who all work there put my mind at ease. I got to ride the calmest horse possible and they helped us every step of the way. 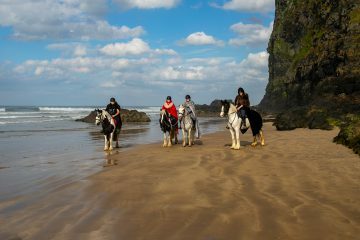 Once we got to the actual beach, I had one of the girls leading my horse until I felt confident enough that I could steer it myself. Since we were outside in the brisk ocean breeze, even my allergy wasn’t an issue aside from a few sniffles. And let me tell you, once I got over my fear of basically everything about being on a horse, the experience was breathtaking. 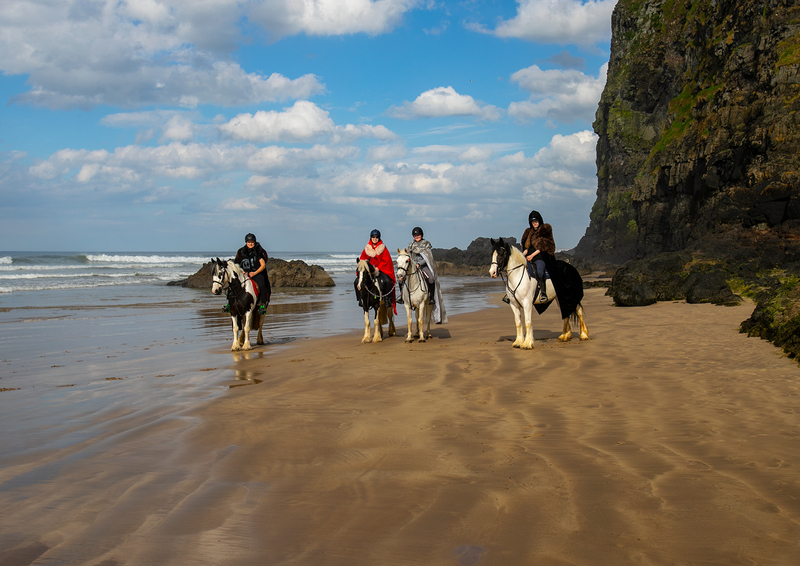 We rode as far down the beach as possible before the tide started coming in, twisting between the rocks and admiring the spectacular views. I was sure the helicopter ride would easily be the coolest thing we do on this trip (and possibly ever), but after experiencing this magnificent location on horseback, I have to say it’s a very close call. Our guides from Crindle Stables were amazing and put us right at ease with the horses. The view from horseback was also pretty cool! 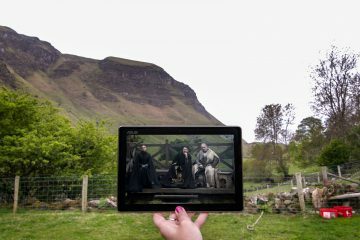 During the past few years we’ve gotten pretty good at discovering filming locations on our own. 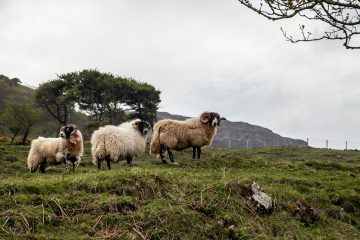 That doesn’t mean we don’t welcome help from a knowing guide whenever possible, and there’s no better guide for GOTterritory on the north coast and Glens than Flip from Giant Tours Ireland! What’s even better than having a knowing guide is having a knowing guide who also drives us around! 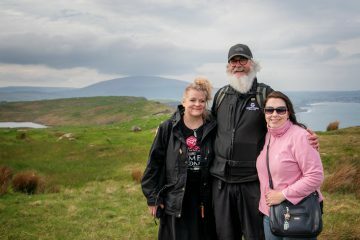 Flip picked us up in the morning in his dragon-adorned van and what followed was a half-day full of amazing scenery and cool sceneframing opportunities, some of which we might have never found the exact right location without Flip’s expertise. 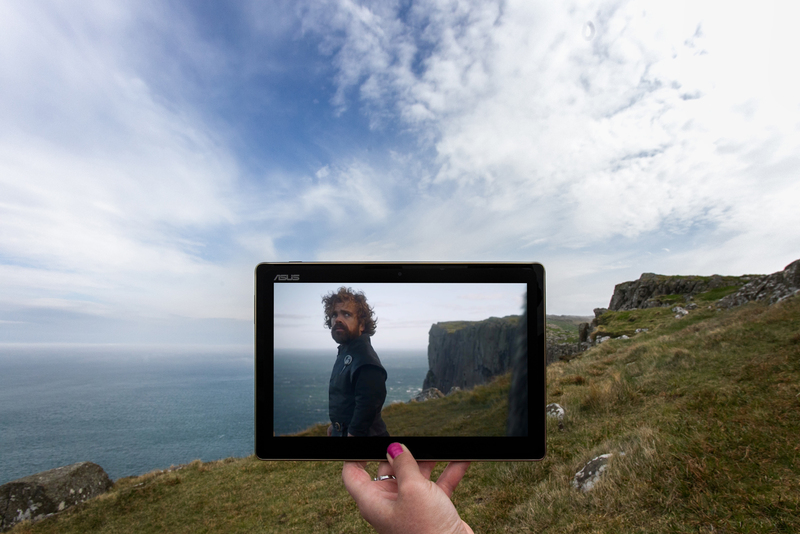 We had to get pretty close to the edge of Fair Head for this shot of Tyrion at Dragonstone. 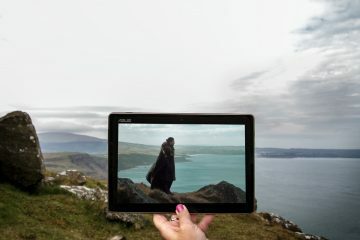 A bit closer than I was comfortable with I must confess..
Flip showing us the ropes at Fair Head aka Dragonstone. He’s even worked on the show as a stand-in for Hodor and The Mountain and can tell you quite a few stories from set! The views from Fair Head are quite breathtaking. Hanging out with Flip at Dragonst- I mean Fair Head. We started the day at Fair Head, which you might better know as Dragonstone. 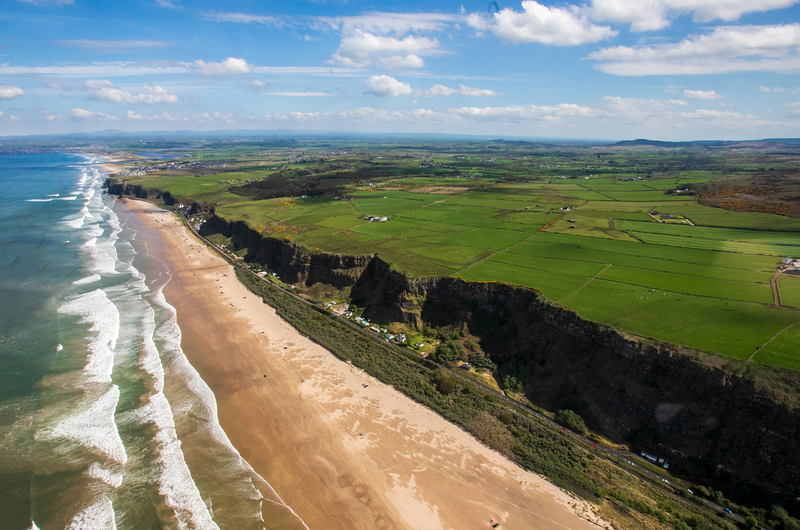 While the beach and the imposing stairs that lead to the castle of Dragonstone were filmed in Spain, the high cliffs where Jon Snow and Tyrion have a brood-off and Daenerys gets a flying start on her dragons can be found right here in Northern Ireland. Getting to the edge of the cliff is a bit of hike from the car park but it’s pretty easy terrain and the views are more than worth it. Be careful not to get too close to the edge though, it’s a long way down… We had a blast sceneframing all the various scenes that take place here and spent way more time on the cliffs than we were allotted but Flip was such a good sport about that too. 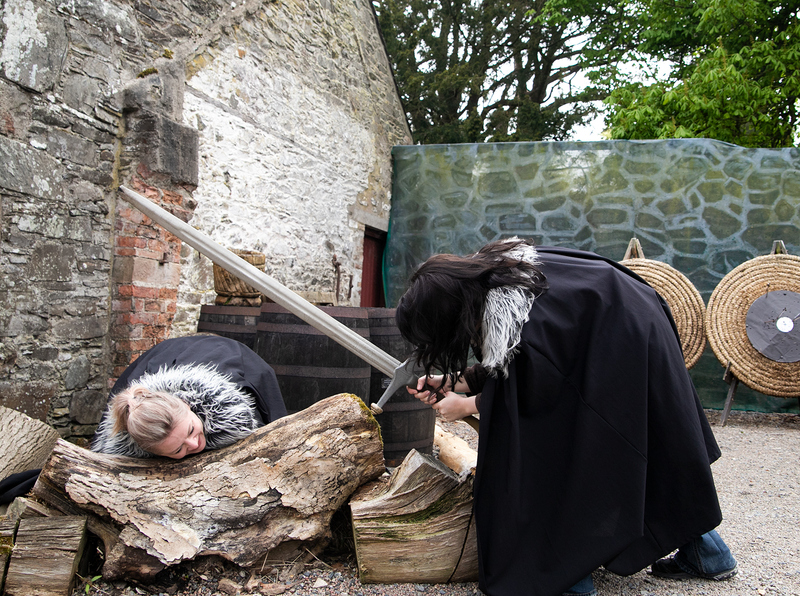 We did keep our eyes peeled for any dragons flying by but sadly, didn’t spot any this time. Which of course just means we’ll have to come back! 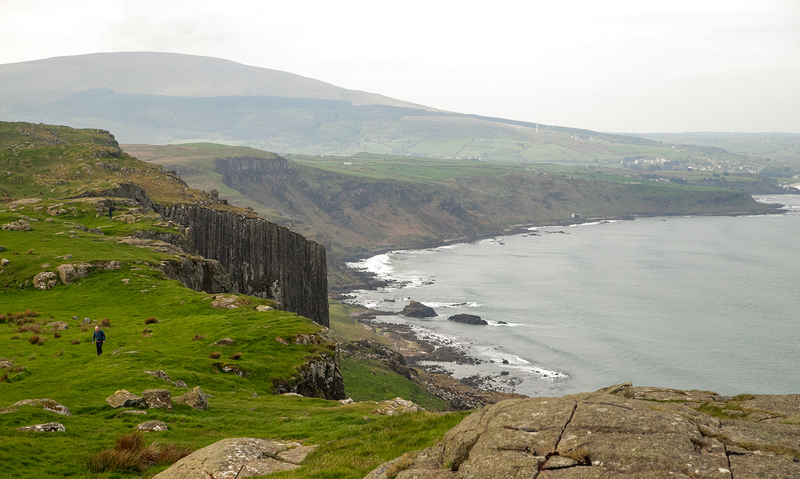 Fair Head gave Jon Snow a majestic and worthy background for his brooding. 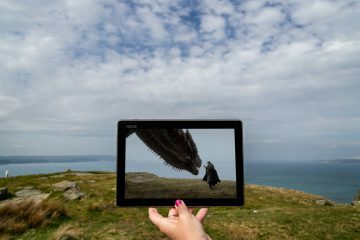 Jon Snow meeting the dragon for the first time at Fair Head. 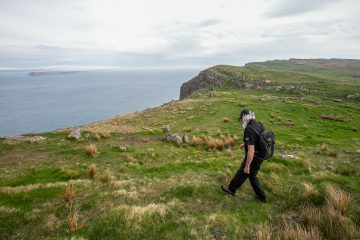 We spent way longer at Fair Head than we were supposed to to try and get as many sceneframes as possible. 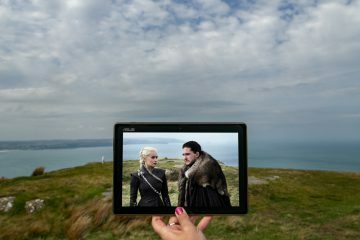 It was worth it for this shot of Tyrion and Daenerys at Dragonstone, wouldn’t you agree? 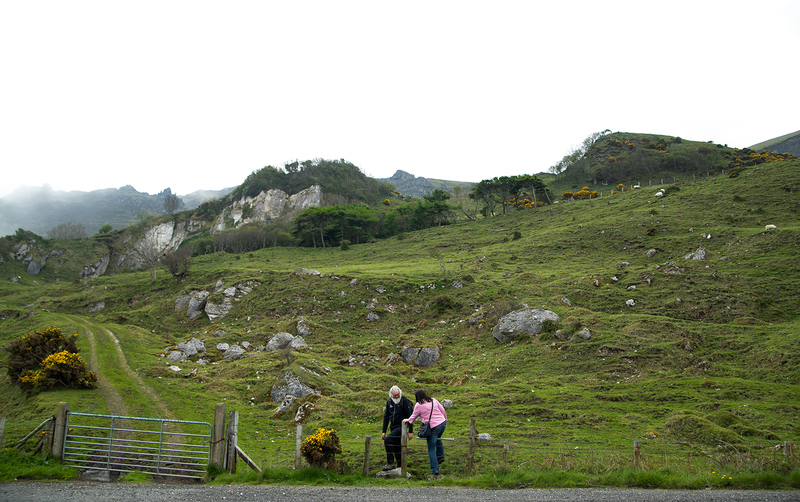 After Fair Head Flip drove us to a location we probably never would’ve found ourselves at Galboly. It’s quite a hike uphill, but if you make it you will find the beautiful remains of a little village, and the spot where Sansa Stark and Petyr Baelish watch as young Robin trains. 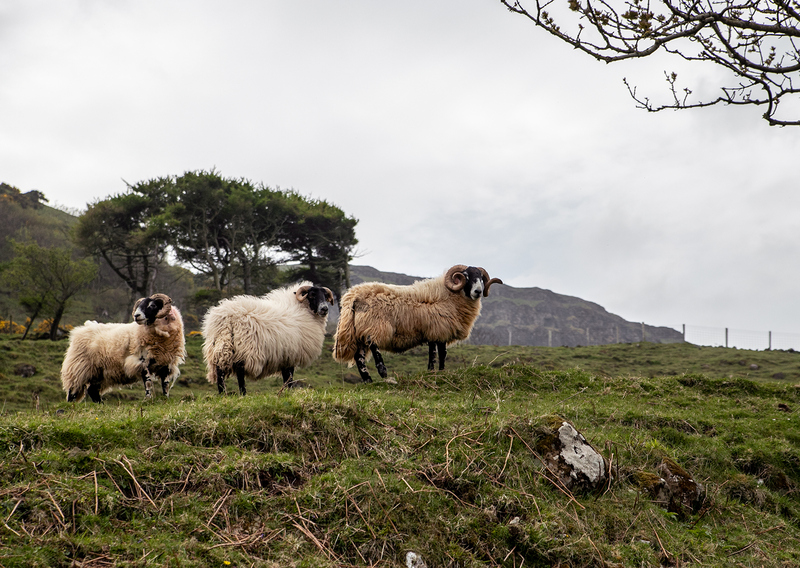 The sheep were watching over us on our way. 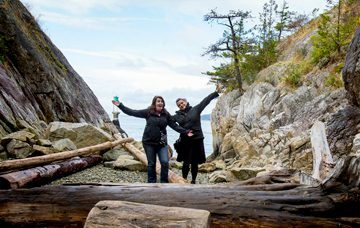 What’s better than a location tour? 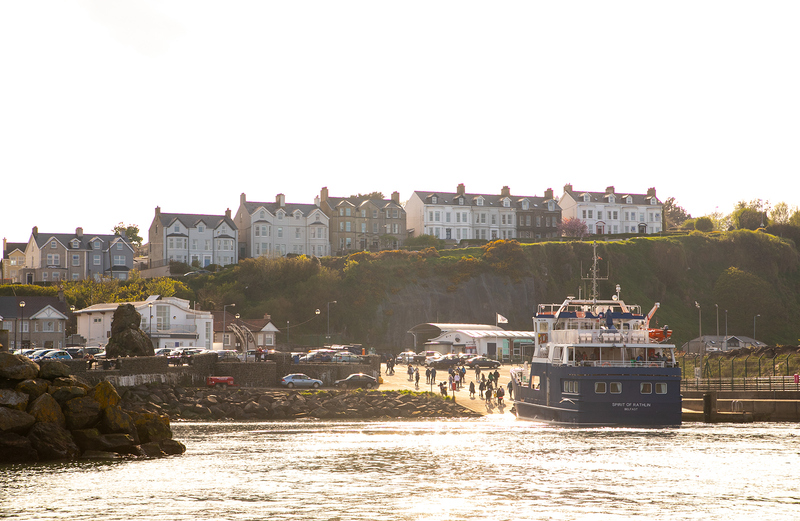 Two location tours in one day – and the other one by boat! After a luscious lunch at Mary McBrides Bar we took to the seas aboard an Aquaholics vessel. 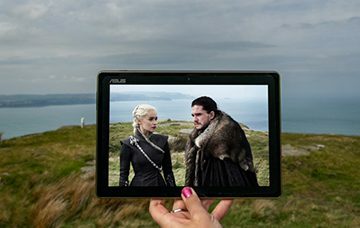 The Game of Thrones Sea Safari gave us a uniquely different perspective to some of the locations we’d visited, this time from the sea. 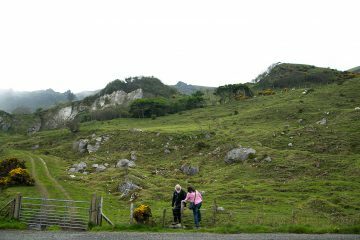 The tour takes you by Cushendun Caves, Murlough Bay and Ballintoy Harbour, but perhaps the most impressive sight were the Fair Head cliffs. Looking at the massive rock formations from below, it was hard to believe we’d been standing on top of them just a couple of hours before. 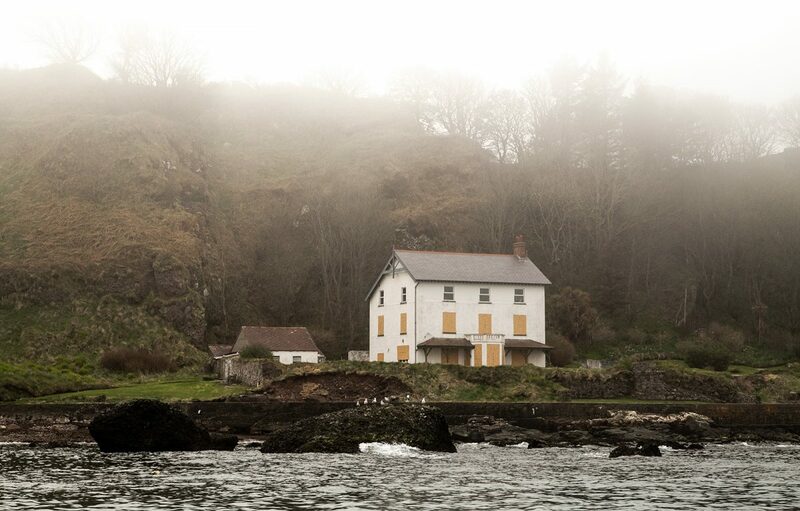 On the boat tour we also had one of our eeriest experiences in Northern Ireland: a thick sea fog that enveloped us at the very beginning of the trip. 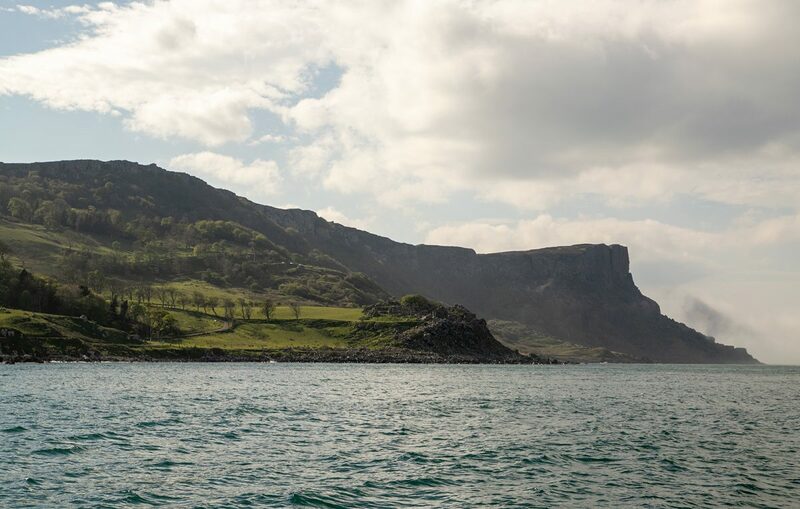 We could faintly make out the shapes of Cushendun Caves, but by the time we got to Fair Head, we couldn’t tell if we were right next to massive cliffs or miles out at sea! 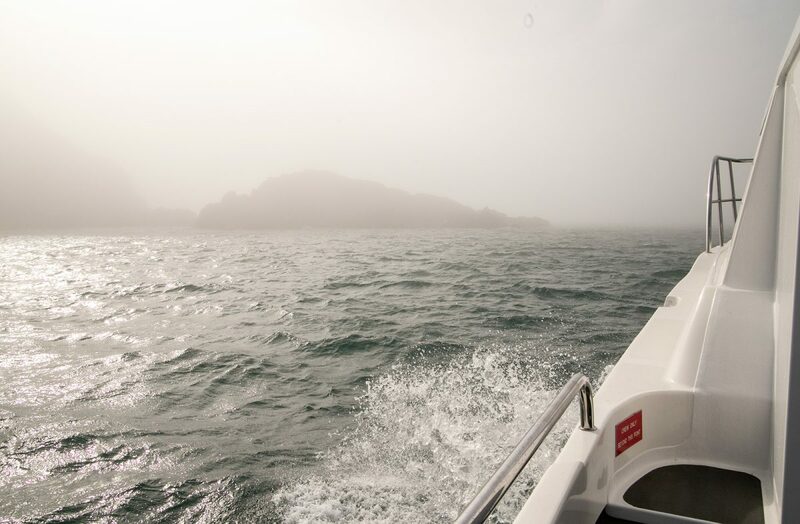 While poor visibility might not be something you wish for on a sightseeing tour, it was nevertheless a cool and unusual experience. Luckily the weather cleared up as quickly as the fog had appeared and we could appreciate the locations in all their glory. Appearing out of the fog into clear skies was also pretty surreal! 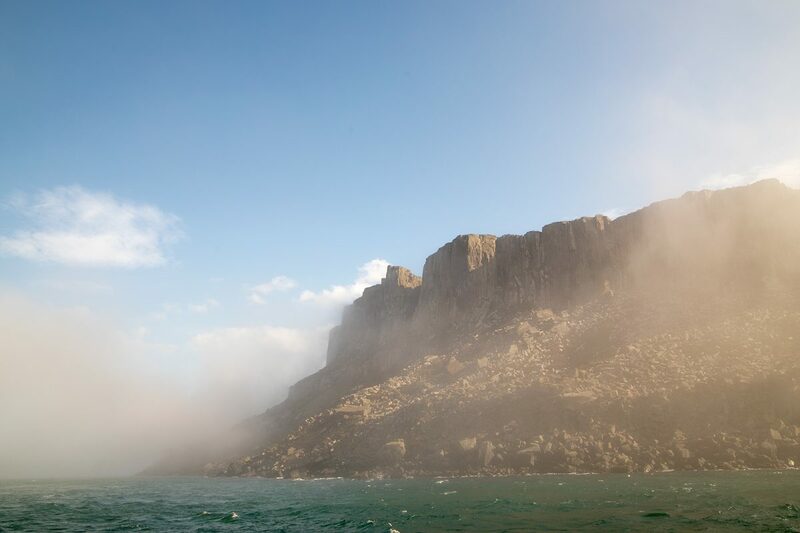 …but then the fog enveloped us! 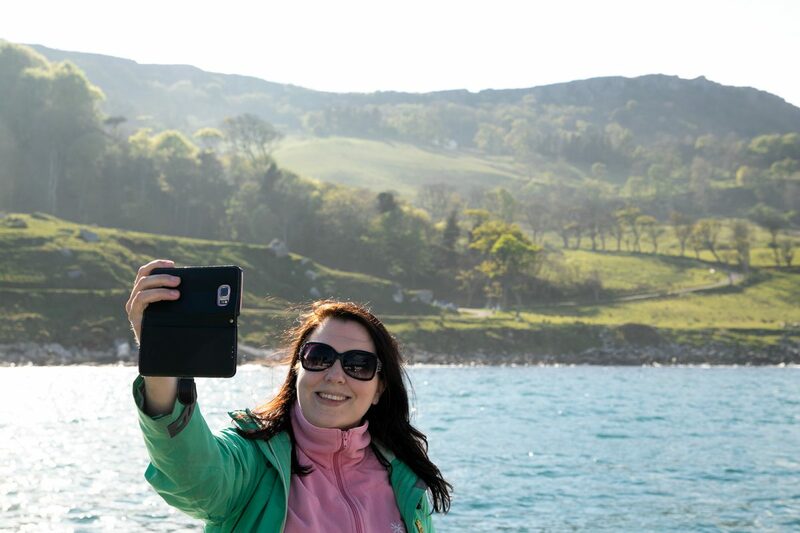 Luckily by Murlough Bay it had cleared enough for selfies! 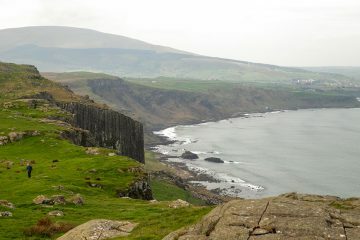 A different view of Dragonstone, just a couple of house after we’d stood on top of the cliffs of Fair Head. 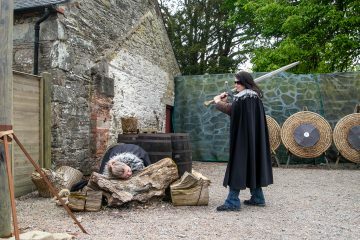 There’s no shortage of amazing experiences for Game of Thrones fans in Northern Ireland but these were, in our experience, some of the best of the best. 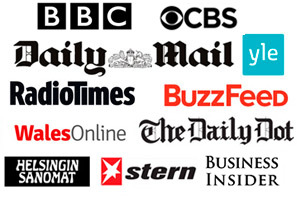 We can warmly recommend these to any fan looking for not only stunning locations but also warmhearted customer service and incredible expertise on the area. 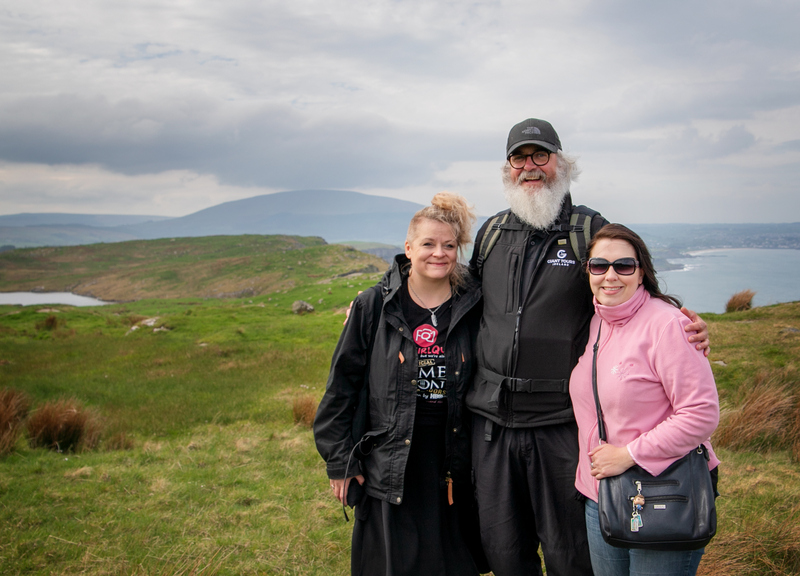 This is a collaboration post: Our Game of Thrones adventure was done in collaboration with Tourism Northern Ireland and the businesses mentioned in the post, but the experiences and opinions are our own. 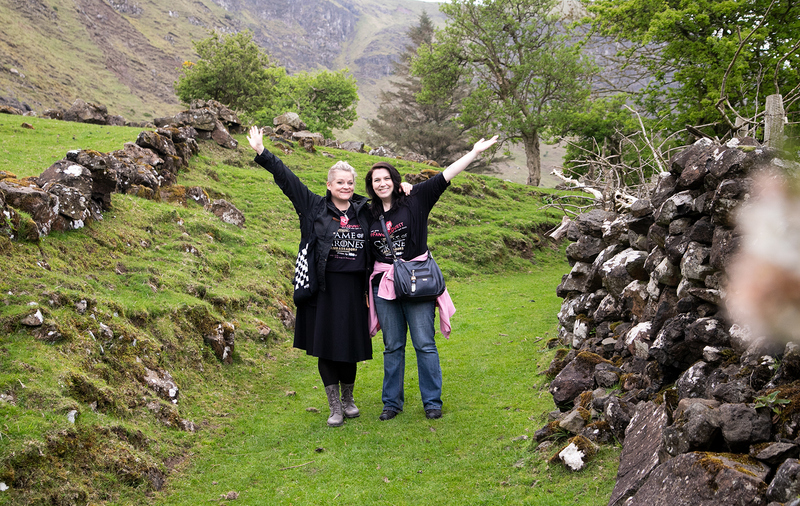 We had an amazing time in Northern Ireland and we’re not afraid to show it!